The Fat Loss FAST system is a sustainable approach to nutrition. 👍 Lose fat without feeling hungry, deprived or miserable. 👍 You don't have to exclude food, avoid restaurants or follow a meal plan. You will discover a flexible approach to dieting that prioritizes your micronutritional needs and allows for a daily treat. You will not have to give up bread, pizza, chocolate or wine. 👍 You can eat carbs (even at night). If you are currently following a low carb diet, you will learn how to reintroduce carbs into your diet without “blowing up”. 👍 Stop slashing your calories and starving yourself. Discover how to recover from low-calorie diets (i.e. learn how to “reverse diet“). 👍 Stop doing cardio to burn as many calories as possible. 👍 Stop yo-yo dieting. Discover my sustainable solution. 👍 Eat according to your eating personality, schedule and goals. If you like to eat big portions of food after a long day of work, then you can! I will teach you how to pull this off without sabotaging your fat loss. 👍 Discover how to establish your unique calorie and macronutrient requirements based on your training style and physique goals. 👍 Discover how intermittent fasting can improve your health, increase your energy levels and promote fat loss without slowing down your metabolism or catabolizing your muscle. My Fat Loss FAST system is the ultimate theoretical and practical guide to intermittent fasting, flexible dieting and reverse dieting. Stop dieting and exercising to lose weight! It doesn't work because it's not sustainable. It just becomes a horrible numbers game of calories in and calories out: You will become tormented by your activity tracker and daily weigh-ins, and before you know it, you are a slave to your endless cardio and severe calorie-restricted diet. STOP IT!!! Instead, I teach you how to tailor your nutrition so you can fuel your training and make favourable changes in your body composition. If, however, you want to diet and exercise, then I show you how to conservatively approach it with calorie and carb cycling so that you won't run your metabolism into the ground or develop an unhealthy relationship with food and exercise. Discover how to make your diet work for you, instead of against you. It's difficult to please your palate if you are following a strict meal plan. With my flexible approach to dieting, you will learn how to go about eating exactly what YOU want to eat without gaining fat or sabotaging your nutrition. You will learn how to establish and track your daily calories and macros (it's easy with my free online calculator) because accuracy allows for flexibility with your diet. Food will become a source of pleasure, rather than a source of angst. You won't have to demonize any food (you can have wine, bread and chocolate) and you won't have to eat tiny hunger-inducing portions. You won't have to eat every 2 to 3 hours, and you also won't have to stop eating after 6pm. If you are like me, and you are a night eater, than I'll show you how to make it possible to eat at night without gaining fat. You will also learn how to approach both fasted and fed-state training, so you don't have to worry about re-arranging your gym schedule. Metabolic flexibility refers to the ability to switch from using carbs or fat as fuel. People who eat all day long only burn carbs for fuel, making them metabolically inflexible. People who fast; however, can burn fat for fuel, making them metabolically flexible. You want to be metabolically flexible. You don’t want to polarize how your body uses carbs or fats. That’s why I don’t demonize any macros and I fast for at least 16 hours a day. I’m an intermittent faster, I’m metabolically flexible, I eat carbs and I burn my own body fat for fuel. I do squats, deadlifts, pull-ups and other compound exercises. I’m not genetically gifted... I’m an endomorph. I keep it really simple. Simple = sustainable. Stop the obsession with your bathroom scale. I used to obsess over weighing 120 pounds. Today, I weight 140 pounds and I look lean and strong. Today I eat double the amount of calories I did in 2014 and my body fat percentage is less!! I've been able to build muscle and strength while intermittent fasting (I have chiseled abs and deadlift over 250 pounds for reps). I will teach you exactly how to go about favourably changing your body composition. If you have run your metabolism into the ground from years of yo-yo dieting, I will teach you how to reverse diet to a healthy amount of calories. I put together over 65 recipes for you with a grocery list. Some recipes are higher in carbs and some are lower in carbs and calories. It doesn't matter if you are vegan or unable to eat gluten because you can substitute my ingredients with your favourite ingredients: That's the beauty of flexible dieting. p.s. my recipes are really easy to make and they use ingredients you can find in a typical grocery store. You will get exclusive access to me in my VIP TeamSS Facebook Group. I call the group of men and women who follow my Fat Loss FAST system, TeamSS. We are an international team who loves to eat, all while shedding fat and building muscle. We are all on the same mission... to become better versions of ourselves and to inspire others to do the same. The single most important factor is having a support system. Everyone on TeamSS provides support, accountability, motivation and even healthy competition. p.s. To get a sneak peek of my incredible team, follow my @OfficialTeamSS Instagram. are aware they aren't eating enough calories and carbs but need a strategy to fix this dilemma without "blowing up"
want to learn the HOW & WHY of intermittent fasting, flexible dieting and reverse dieting. Eeek! Intermittent Fasting?? Won't skipping breakfast make me faint and hungry, slow down my metabolism, and catabolize my muscle? Won't it make my body enter into starvation mode? Most people need about a week or two to adapt to intermittent fasting (i.e. to improve metabolic flexibility). Once you have improved your metabolic flexibility, you will notice that fasting has a suppressive effect on hunger. Oftentimes you may think you are hungry, but you are actually just thirsty. Don't worry because you can drink water and calorie-free fluids (e.g. coffee) during your fast. Since half of your fast happens when you are sleeping, it's very manageable. And when you do break your fast, you get to eat large portions that promote appetite satisfaction. You don't have to eat diet calories. Skipping breakfast will not make you feel faint. Contrary to popular belief, shaking, light-headedness, hypoglycemia, and fainting will not occur if you skip a meal, skip breakfast, or exercise fasted. The average healthy person will not experience a drop in blood sugar while fasting. In fact, a 24-hour fast will not place you into a state of hypoglycemia. Unless you are diagnosed with a true hypoglycemia disorder (which is a rare condition affecting about 5–10% of the population), then no, your blood sugar will not crash from short-term fasting or fasted training. Skipping breakfast will not jeopardize your metabolism. Your metabolism does not slow down during short-term fasts. In fact, it increases slightly. There is no research that conclusively demonstrates that skipping breakfast is associated with weight gain or decreased metabolism. According to a 1987 study by Nair et al. in the American Journal of Clinical Nutrition, the earliest evidence of a lowered metabolic rate in response to fasting occurs after 60 hours (with an 8% drop in resting metabolic rate). A 1994 study published in the British Journal of Nutrition reported no change in metabolic rate among 29 men and women who fasted for three days (72 hours). Don't worry, you won't be fasting for 60 hours or 3 days! You're just skipping breakfast. It's ludicrous to equate starvation with skipping breakfast. Skipping breakfast will not make you lose muscle. According to a 2006 study in the Annals of Nutrition and Metabolism, up to 40 hours of total fasting does not stimulate catabolic processes that lead to skeletal muscle atrophy. Do you want to know what will make you lose muscle? Eating diet calories and doing long-duration cardio on a daily basis. And you already know how I feel about that. 😉 So intermittent fasting is not suboptimal for muscle and strength gains. My chiseled body and 250 pound deadlift are proof of the truth. It's a misconception that intermittent fasting means you are starving yourself. Skipping breakfast does not mean you will end up eating less calories than your body needs. With my approach (The Fat Loss Fast System), your fasts are typically 16 hours/day (never more than 20 hours) and you do NOT slash your calories. You will still eat ALL the calories your body needs to function optimally during your daily eating window. Note that ~50% of your fast happens while you are sleeping, which makes fasting much easier than you think. I'm not a fan of dieting for fat loss because it's not a sustainable solution. That is why my Fat Loss FAST System teaches "reverse dieting". I'm fully aware that many people have been dieting and cutting carbs for years (heck, that used to be me too). I teach you exactly how I recovered from eating <1200 calories and <30g carbs a day to eating 2000 calories and 250-300g of carbs a day. I know it seems scary to eat more, especially when you are not accustomed to it, but I'm going to open your eyes to a whole new world. A world where you have control over food. A world where food helps you sculpt a lovely body. So don't confuse intermittent fasting with energy restriction. And don't combine the two either! That's why I'm not a fan of dieting and exercising. Slashing your calories and exercising to burn as many calories as possible will decrease your metabolic rate. This makes it harder to lose weight, which means you have to implement an even stricter calorie deficit, and burn even more calories during your workouts. Doing extra cardio, cutting carbs and introducing a bigger calorie deficit will do more harm than good. You’ve come to the right place because I will give you a scientifically proven system that will get your metabolism back on track so that you can eat a healthy amount of calories and ditch the excessive cardio. You won’t have to follow a daily calorie or carb restricted diet, nor will you have to plug away on the elliptical or treadmill to get results. That’s why it’s possible to get results and maintain them … because you don’t have to do anything extreme to get them. My body stopped responding to calorie-restricted low carb meal plans and lengthy cardio workouts. I just couldn’t lose fat anymore. I was exhausted from hours of daily cardio and constantly bingeing from hunger. That’s why I created the Fat Loss FAST system in 2012. Thanks to my Fat Loss FAST system, I was able to put an end to yo-yo dieting and favourably change my body composition. I can eat big portions until I’m full, I can eat carbs at night and I can even eat bread! I’m no longer a slave to dieting, cardio or meal plans. I’ve been able to maintain my results since 2012 and am proud to share my life changing Fat Loss FAST system with so many people around the world. My Fat Loss FAST system completely changed my life. I'm honoured to have this platform ... It's my mission to help other women (and men too!) stop slashing their calories. I want to teach people how to make food their ally instead of their foe. I want to teach them how to stop dieting (how to dig themselves out of the vicious dieting cycle) so they can enjoy food AND reach their aesthetic and performance goals. The purpose of my Fat Loss FAST system is to teach you the principles of intermittent fasting and flexible dieting so you will never have to rely on a method or meal plan again. Since you will understand the principles, you will be able to devise methods that work for you. That is why the Fat Loss FAST system is a sustainable solution. QUESTION: Are you eating enough calories? Are you demonizing carbs? There was a time when I wouldn't eat more than 1200 calories a day for fear of gaining weight. I also wouldn't eat more than 30 grams of carbs a day, nor would I dare eat bread, pizza or chocolate. So I was I know firsthand how miserable it is to live on diet calories. That’s why I’m so passionate about teaching women (and men) a methodical approach to adding more calories and carbs back into their diets. If I knew then what I know now, I never would have dieted to lose weight. Tying your happiness to an aesthetic outcome that requires a lot of strict dieting to attain is dangerous. If you don’t enjoy the process, you won’t be able to keep it up. With my sustainable approach to nutrition, you will learn how to improve your body composition (lose fat and build muscle) without having to follow a strict diet. That's why you can get results you can actually maintain... because you don't have to do anything drastic to get the results in the first place. Consistency with your nutrition is a piece of cake with my Fat Loss FAST System. Intermittent fasting with calorie adequacy is great. Energy restriction, regardless of the feeding paradigm (frequent feeding or intermittent fasting), is a bad idea. YES! Rebecca went from 1200 to 2000 calories/day and she looks STRONG! I’m so happy she agreed to let me share her story because I know firsthand just how scary it is to embark on reverse dieting (i.e. increasing your calories after a period of strict dieting). I mean, the reason why so many of us slashed our calories in the first place was fear of gaining weight. Donna is 52 years old and she lost 20 pounds in 60 Days using my Fat Loss FAST system. How did Gisselle effortlessly lose 15 pounds and then keep it off ?? Did I mention she is a single mom, a full-time student and a business owner? Did she follow a calorie-restricted meal plan and spend hours on the treadmill? NOPE. She did this the healthy way following my Fat Loss FAST system and has continued to get results! Kayla’s legs are shredded! Kayla lost 10.8 lbs in 60 days with mFat Loss FAST system and my home workout program. • 17. Who Owns the Rights to Intermittent Fasting? • 17. What is Intermittent Fasting? • 21. How Long Should You Fast? • 33. What Can You Consume During Your Fast? • 49. What if You Are Overweight? • 61. What is Flexible Dieting? 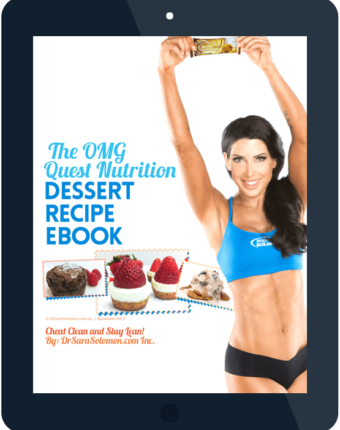 How many pages is the Fat Loss FAST system e-Book? My Fat Loss Fast System is a 397 page evidence-based e-Book. It's only available as an e-Book. You have my permission to print the e-Book so that you can have a hard copy. What if I can't use the ingredients you recommend in your recipes? What if I am vegan or gluten intolerant? This is not a dictatorship! It’s flexible dieting. I’ll never tell you what to eat - rather, I’ll teach you how to select food for yourself. You can substitute ingredients in my recipes, but remember this will change the nutritional information calculations. Can I Save my e-Book to my mobile device? It's really easy to lose the link if you download it to a phone. Even though you can download and save the e-Book to iBooks on your iPhone (not android), it's not recommended to do so because of the large file size and because it will be hard to read it on a small screen. Make sure you save a back-up copy somewhere else first. How do I download and save my e-Book? What happens if I don't download and save it? Please check the email address you used to purchase the e-Book because this is the email address to which your e-Book will be sent. Did you click the link/button that says, "View Purchase Online"? Refer to the photo below. How Do I Join the TeamSS Facebook Group? Note that if your Facebook account has high privacy settings, it’s not possible for you to join the Facebook group. If your Facebook name does not match the name you used to purchase the Fat Loss FAST system, then please email your Facebook name and your purchase email/name to support@drsarasolomon.com (so we know it's really you!). Then we will be able to add you as a friend and then manually place you in the group. If you don't do this, your request to join the Facebook group will be declined. If you prefer to bundle & save, click here to get the Fat Loss FAST system e-Book combined with my other popular products.